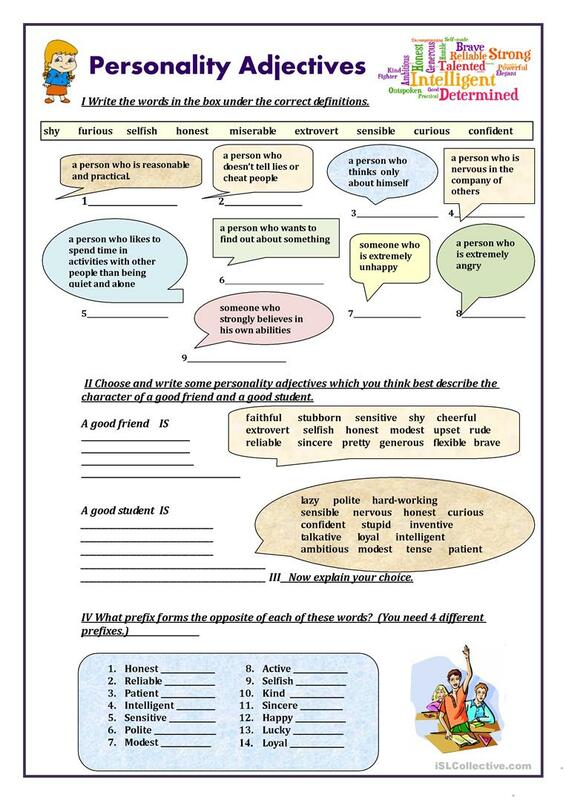 The worksheet consists of four different exercises dealing with personality adjectives, key is provided on page 2. Hope you'll find it useful in your own classrooms. The above printable, downloadable handout is meant for high school students and adults at Pre-intermediate (A2), Intermediate (B1), Upper-intermediate (B2) and Advanced (C1) level. It is aimed at teaching Adjectives, Adjectives to describe feelings / mood / tone and Adjectives to describe personality and character in English, and can be used for improving your students' Speaking, Reading and Writing skills. It focuses on the vocabulary topic of Describing people, People and Personality and character. You will find the key at the end of the worksheet.